I already reported about the upcoming Nikon D850 $200 price drop that will start this weekend (I will make a separate post once the rebate is available). 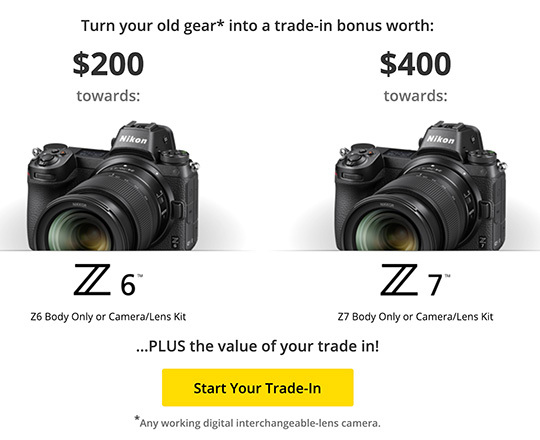 Trade in any working digital interchangeable-lens camera and get up to $400 in addition to your trade-in value towards a Nikon Z mirrorless camera. The landing pages for this offer: Adorama | B&H Photo. The list of qualifying cameras can be found here. I believe the trade-in offer will also start this weekend and it is not yet available. 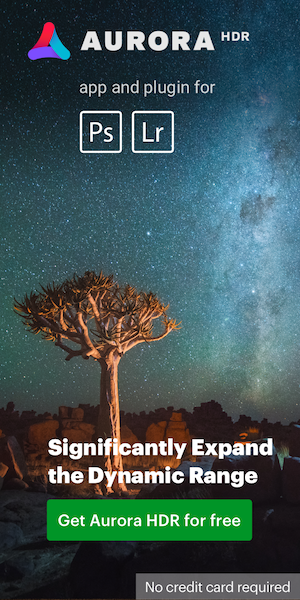 This entry was posted in Deals, Nikon D850, Nikon Z6, Nikon Z7 and tagged Nikon Rebates, Nikon Z6 Z7 trade-im, trade-in. Bookmark the permalink. Trackbacks are closed, but you can post a comment.